We can help keep your Albury home or business mice-free through our proven mice control services. When we are asked how to get rid of mice, our mice treatment technicians will go over the options with you. On the job, they will inspect your property to ascertain where the mice may be gaining access, where they are nesting and popular areas they are utilizing. Once our technician has determined their whereabouts, rodent trapping stations may be implemented. Rodent baits may also be distributed either loosely or within plastic childproof and pet-proof cases. Mice are unlike rats in that they are not as intelligent and will be less skeptical of the newly introduced bait. Thus, extermination will usually occur quicker than that of rats. Mice are serious pests upon humans and the management options are many. Within Australia, the common House Mouse have over time established themselves as extremely frustrating pests to deal with. This is largely due to the incapability of mouse proofing, as their small and flexible stature, enables them easy infiltration of homes and businesses. Such infiltration, if unchecked, may lead to serious infestation, as mice are social animals, living in groups whilst also excessively breeding 6-10 litters a year (each constituting 5-6 young). House mice are well adapted to living around humans, often living undetected and undisturbed. However, whilst often undetected, house mice still pose serious health risks, through the spreading of disease and illness, primarily though food contamination. Any attempt to control mice in buildings must, of necessity begin with a thorough inspection of the premises. 3-4mm droppings indicating old or recent mice activity. Droppings are often found within roof cavities, subfloors, kitchens, in or around chicken coups and perimeters. These are greasy smear marks usually encompassing fur as well, indicating continual contact with such area. These are useful in determining placement of traps and bait. Often found near waterways and buildings. Mouse burrows consist of a hole hidden under debris. Further useful in trap and bait station placement. Mice, like most rodents, must gnaw to keep their incisors (teeth) at a certain length. They will often gnaw on a wide array of materials, including woodwork, metals, food containers, cables and conduit. These gnawing marks are a clear sign of rat activity. Often made of paper, roofing insulation, rags or paper. Often food and droppings will be present. Such nesting indicates a clear sign of activity, and useful in determining placement of traps and bait. Footprints and tail marks in dust covered floors and roof voids indicate rodent activity. Although uncommon for mice, residents or occupants may hear sounds during the evening and night, particularly in roofs without insulation. Often described as squeaking, squealing, scurrying, gnawing, and sometimes fighting. For mice a wide variety of trapping mechanisms may be used. These include the use of snap traps, the humane victor tin cat mousetrap that captures and does not harm the animal, and glue boards. Depending on the degree of infestation, these trapping mechanisms may be used in conjunction with one another. The use of chemical control is often utilized to combat mouse infestation. Our technicians employ single-dose anticoagulant rodenticides, whereby a single dose ingested is lethal, and will cause death in 6-7 days. Such chemical treatment may be applied either loosely through roofs in the form of bait cubes, or may be stored within sealed plastic boxes. This ensures only the targeted rodents are able to ingest the poison, keeping children, pets and possums safe from possible ingestion. Often, a leading cause of mouse infestation is due to poor sanitation. Decreasing the food and shelter available to a given population of mice is likely to lead to lower levels of food and space. This will ultimately lead to competition between those present, which will eventually lead to a decline in the population. This aspect of mouse management often involves a largely educational and advisory form of treatment conversed to the client. Such a treatment will, with reference to government health regulations, advise a client on precautions needed to be made including the secure storage of food and increased cleanliness both in and outside the building. Outside the building, this may include the disbandment, redesign, or increased monitoring of chicken coups, as they are conducive to attracting rats and mice. For more information about mice pest services in Albury, please contact your local Jim’s pest expert on 131 546. 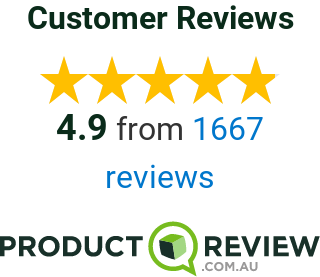 Rob has years of experience in pest treatment services in the Albury-Wodonga area, and can use his know-how to help you with your mouse problem.